‘End of the Line’ is the latest fun-filled escape game to be unveiled at Clue HQ – Warrington in which guests are tasked with halting a moving train before they reach, you guessed it, the end of the line. The theme makes excellent use of the venue which is located in one of the railway arches beneath Warrington Central train station. The Clue HQ design team have stepped up their game with this latest creation having designed an incredibly realistic replica of the inside of a train carriage right down to their very own Clue HQ themed moquette (the distinctive design found on seats on most forms of public transport). 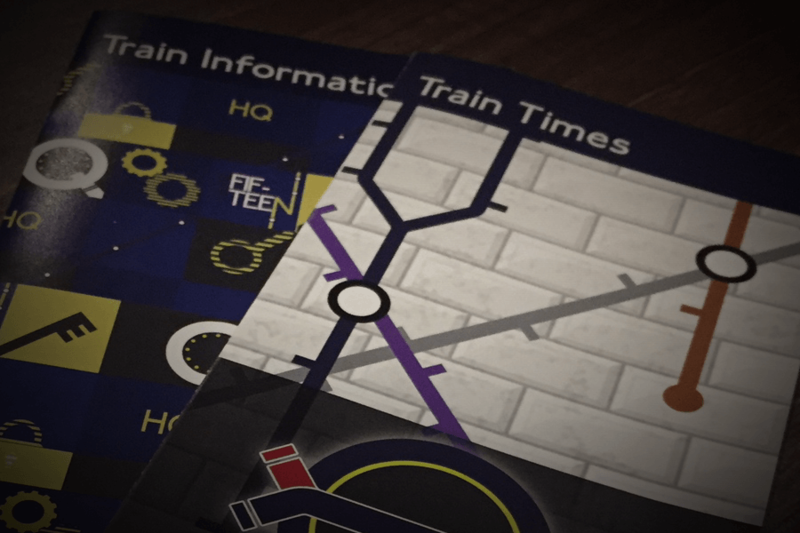 The Clue HQ team also booked themselves into the drivers cabin of a train from Southport to Liverpool Lime Street in order to acquire the footage of rolling scenery that can be seen in the finished game. These design choices are sure to thoroughly set the scene for teams attempting to escape the newest challenge at the Warrington venue. End of the Line is sure to offer a challenging hour of puzzle solving fun for both new and veteran escapees alike. If you want to board the latest creation at Clue HQ – Warrington you can book your tickets now at cluehq.co.uk/warrington or call 0333 335 0030. Prices start from £15 per person, and games are suitable for groups of 2 to 6 people.